"I'll bet you're wondering why I'm sticking my tongue out. Well, it's not because I'm not appreciative or anything - it's just that I really, reeeeally want a forever home of my own, and I'm just getting a bit impatient. Do you think my forever family might come this weekend? I am such a handsome fellow. Look how bright my yellow eyes are against my sleek black coat. I would love for you to come visit and tell me what a good kitty boy I am. Then we could go home together forever. 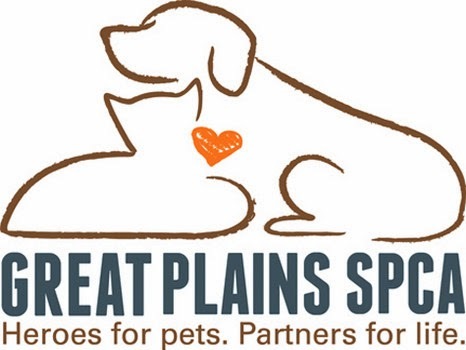 Sebastian is available - along with hundreds of his fellow kennel-mates - at the Independence Campus of Great Plains SPCA. Won't you come out and meet him for yourself? You are very handsome Sebastian and we are all crossing our paws that you find your Forever Home soonest! 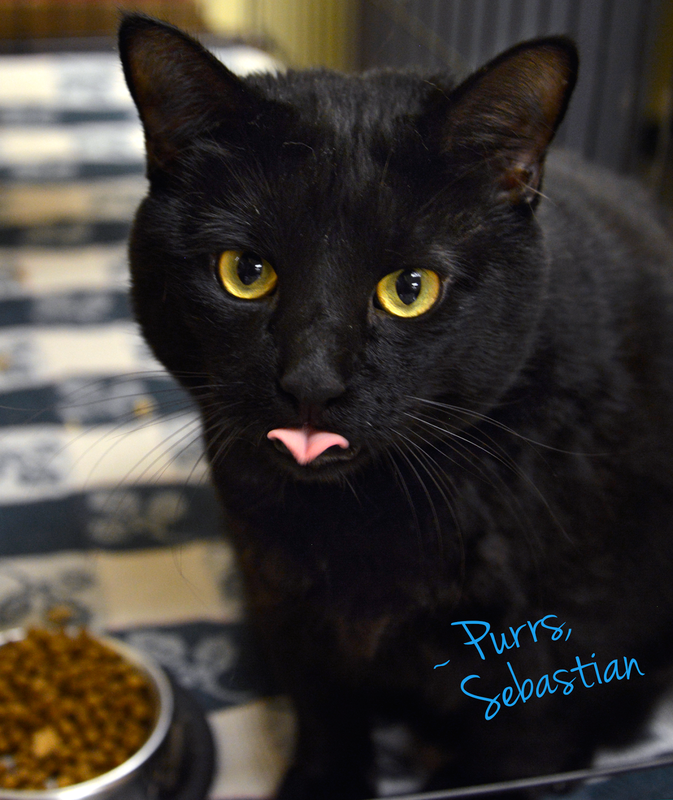 We agree Sebastian is a handsome dude and we so hope he finds his forever home soon. Have serene and easy Sunday. What a handsome honey! ... and the TONGUE!!!! (((purrs))) sweet boy, we hope you find a forever home VERY soon.